This is right in the spirit of HUDSON’S good eatin’-themed Fashion Focus in the April/May issue! Seattle, WA-based Zebra Mix is a fun company from Brian Alm and Lisa Burgess, devoted parents with two energetic daughters. Like most kids, their girls love to bake; like most grown-ups, these parents quickly discover scratch baking requires lots of pre-planning and supervision – so Zebra Mix is born – and they’ve got brand new baking mixes, too. The company makes innovative products centered around kids and learning that make life a little more fun, interesting and delicious. Each all-natural and organic baking kit comes with a poster-size Safari Baking Map … step-by-step instructions and activities to make the baking process fun, easy and full of smart learning. After selling more than 90,000 Zebra Mix Baking Activity Kits since 2008, Brian and Lisa expand their tasty line with three back-to-school baking kits. “We developed the idea for Zebra Mix because as parents, we were able to identify a need for interactive learning kits for kids,” Brian says. “As designers we were able to create a concept that appeals visually to kids and engages them in the baking process much like a traditional board game.” (These parents are also proprietors of a successful graphic design/marketing firm). Since its debut, toy industry judges and editors have awarded the company the National Parenting Center’s Seal of Approval and the Oppenheim Toy Portfolio Gold Seal Award, among others. 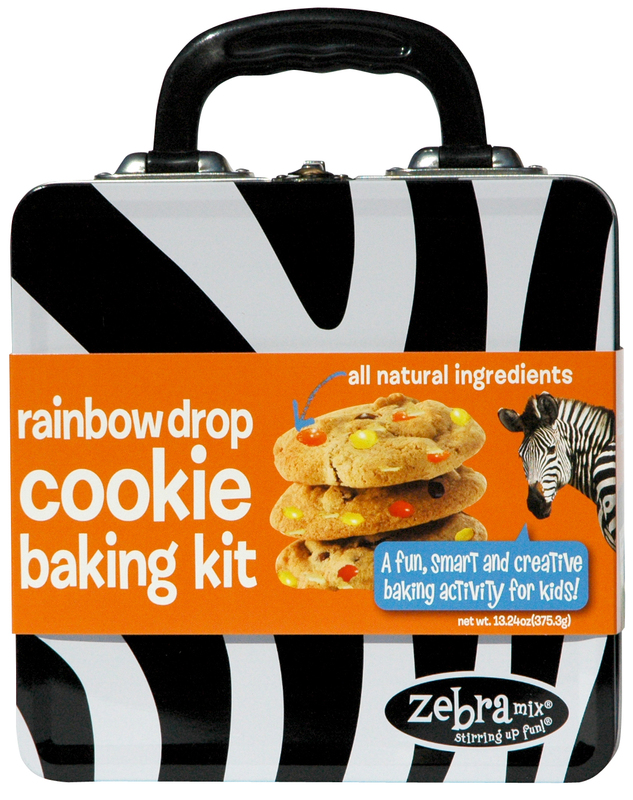 As brand builders and graphic designers with 15 years experience in consumer products, Brian and Lisa assembled a group of kids and parents called the “Zebra Mix Think Tank” to help develop, test and perfect many puzzles, recipes and instructions before coming up with the Safari Baking Maps. Each map is double sided with two levels of learning and kids follow illustrated, step-by-step baking instructions and conduct zany science experiments while measuring ingredients, work their way through a word puzzle or maze or create their own work of art on a cupcake. As they say, this company really is stirring up fun!